The growling bear has not shown mercy on any coin in the CoinMarketCap list and had led to a bleeding market over the past couple of days. However, Twitter user Kevin Rooke made an observation regarding Ethereum [ETH] and Ethereum Classic [ETC], that astonished many. Recently, Ethereum Classic faced a 51% attack from hackers that raised a lot of questions on the security of the digital assets. The hackers or organization behind the 51% attack are still unknown, but as of January 13, the hackers returned 100k USD worth of token to the company. Exchange Gate.io has not yet been able to find out the individual or the group of people behind the attack along with the reason of the sudden change of heart. 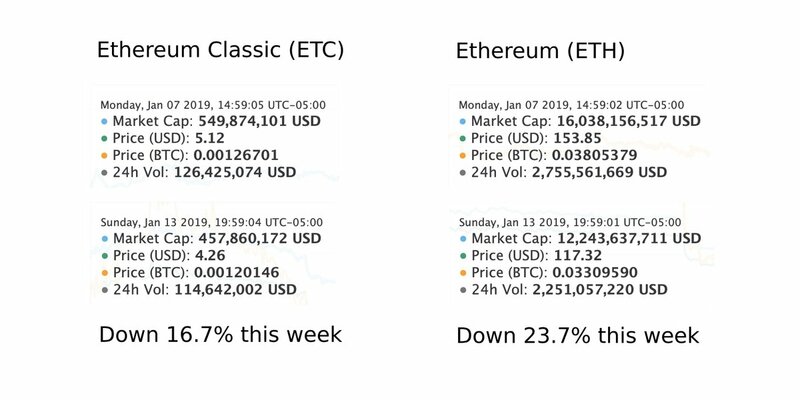 However, the observation presented by the Twitter user stands true as the picture attached with the tweet shows precise calculations about Ethereum Classic [ETC] having suffered comparatively lesser damage than Ethereum [ETH] even after being a victim of the 51% attack. The data was collected by the user for ETC on the January 7, when ETC recorded a 24-hour trading volume of $126 million. 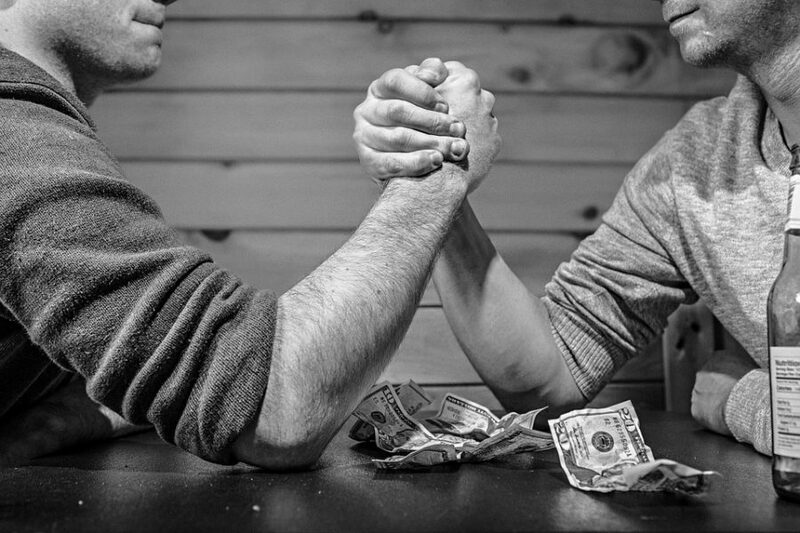 The user compared the growth of the coin with ETC’s 24-hour trading volume of January 13, which was recorded to be $114 million. The coin reported a dip by 16.7% according to Kevin’s calculation. ETH, recorded a trading volume of $2.7 billion on January 7 after which it fell to $2.2 billion on January 13. The coin suffered a loss of 23.7% over the week, which is seven percent more than that of ETC. ETH suffered more loss in a week than ETC, even after being attacked and the transactions being halted for more than a day. At the time of press, ETH was valued at $118.90, with a market cap of $12.4 billion. The coin registered a 24-hour trading volume of $2.4 billion, whereas, ETC was valued at $4.28, with a market cap of 459 million. The 24-hour trading volume of the coin was noted to be $121 million with a fall of 3.84%. Previous Post2019 Cryptocurrency Prediction: What could one expect from bitcoin?